...For unto us in the town of Bethlehem in the City of David a Savior is Born. He shall be called Christ the Lord. We hope that in the midst of these challenging times you and your family are find moments to praise our Creator for his sustaining goodness and blessings. 2010 has been a whirlwind for us with life revolving around our two active and talented teenagers. It is hard to imagine that we have teenagers! Yikes where did the time go?!! In June, Rebecca finished her Sophomore year at Nipomo High School lettering in Drama. She performed in several productions which included, "Anything Goes", Sweet Charity, The Valentine Day Variety Special and the "Best of Beat". While working with the Nipomo troupe, she also continued with Opera, San Luis Obispo, for productions of La Boheme, and the 25 year Anniversary Spectacular. She is enjoying her experiences with musical theater, opera and choral work. 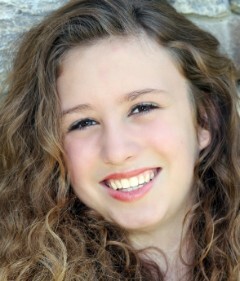 In the current school year (Junior) Rebecca chose to attend Arroyo Grande High School and focus of voice and piano. Our family was blessed to discover that Rebecca had been anonymously nominated to audition for the North American Honors High School Choir. This annual choir is made up of finest talented HS students across North America. The Choir performs at Carnegie Hall. Needless to say, after the audition, we all packed our bags and headed to Manhattan in June and had the most wonderful time experiencing NYC culminating in one phenomenal concert. The program asked Rebecca to audition for the 2011 choir, and once again we are heading to NYC this February! Whew! When will I catch my breath? With all the activity, Rebecca was still able to get her drivers license. There is no stopping this young woman. We are very proud of her! I continue to work for the California Department of Transportation as the Structures Maintenance Program Advisor. I can't believe it has been almost 23 years! Not much change from last year, except for the challenge of mandatory furloughs and resulting reduced salary. I am thankful for the additional time with the family though and the extra time has allowed me to concentrate a little more on restoring my Datsuns. I've met some great new friends, met some racing legends (John Morton and Pete Brock) and had some great car rallies this year. Lisa has been counseling at Allan Hancock College for 20 years now. Policies and personnel have changed, but the flexibility of her part-time hours is still greatly appreciated. Working 2 short days is really a blessing to her as she feels strongly about being home and available for the family. From driving to scheduling she works to keep the ship moving... while Kelly keeps it afloat! She usually enjoys at least one good game of Ultimate Frisbee a week with some time at the gym with the family. She loves special gatherings with friends and family for any occasion. Time with others is time to cherish. Check out our photos page and get a little flavor of what we have been doing. We are very pleased to be able to wish you all a blessed Christmas and Happy New Year. May our Lord Jesus grant you and your family with favor and blessing in 2011. Ryan also has become very active in the world of music. He performed in the Paulding Middle School marching and Concert Band playing first trumpet and continued with classical violin in the San Luis Obispo Youth Symphony. Sports include cross country and volleyball for the Junior High. Ryan's height and strength have helped him to excel and be an integral part of the school teams. He grew 8 inches in a year and is around 5'11'' and yes a pizza simply serves as a snack these days. Lisa's jeans are now a little short for him and no longer get mixed up with his jeans. Ryan has been taking both classical violin lessons as well as bluegrass fiddle lessons. His fiddling abilities have been recognized locally by a few local bands in which Ryan has been asked to sit in and jam with; most notably "Cuesta Ridge". But the highlight of the year (at least for me) was the opportunity for Ryan and I to visit and be tutored by Gilles Apap, world renowned violinist, at his home here in Arroyo Grande. I appreciated the opportunity to play along on Guitar. I was mesmerized by the ease in which Gilles played. He communicated and imparted a deep love for playing the fiddle... to just have fun with it! Gilles invited Ryan to visit him when he returned to the Central Coast to perform at the Los Osos Red Barn. This made an impact on Ryan and I see the change in Ryan's playing to this day. Ryan also has joined a local band "Dusty Shoes" and has even roped me into playing Bass for them. It is an eclectic bunch and we have a great time playing on Saturday nights at the Station Grill in Grover Beach as well as visits to local rest homes and occasional seasonal community events. Its a great activity for Ryan and me to share. He's also become well versed and equipped in the arena of Airsoft. His gun collection now takes a wall in his room (yeah, its off the floor!!) His shed houses the accessories and a work table upon which newfangled guns and other projectiles are fashioned with a teenager's enthusiasm. He is part of three Airsoft teams in California and maintains his connection through the internet. Any free time is spent in music; either fiddling or picking out patterns on a banjo graciously loaned to him by a Dusty Shoes band member sensitive to Ryan's passion for Bluegrass instruments. Ryan usually involves the family in Wii evenings; consisting of hilarious characters and incredible moves from the golf green to the basketball courts. If its not music emanating from the house in the evenings, it's probably because a Wii game is about to ensue. Ryan has truly open new doors for this family and continues to bless through his easy-going congenial and down to earth nature. We love you Ryan!